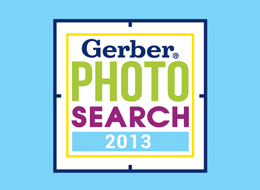 Gerber® Photo Search 2013 – Zucconi Idea Agency, Inc. Imagine this. A high-profile nationwide campaign, generating enormous excitement and passion, drawing millions of votes…and culminating in the final counting of ballots in November. If you're thinking "political election," think again. This is much more fun. And infinitely cuter. 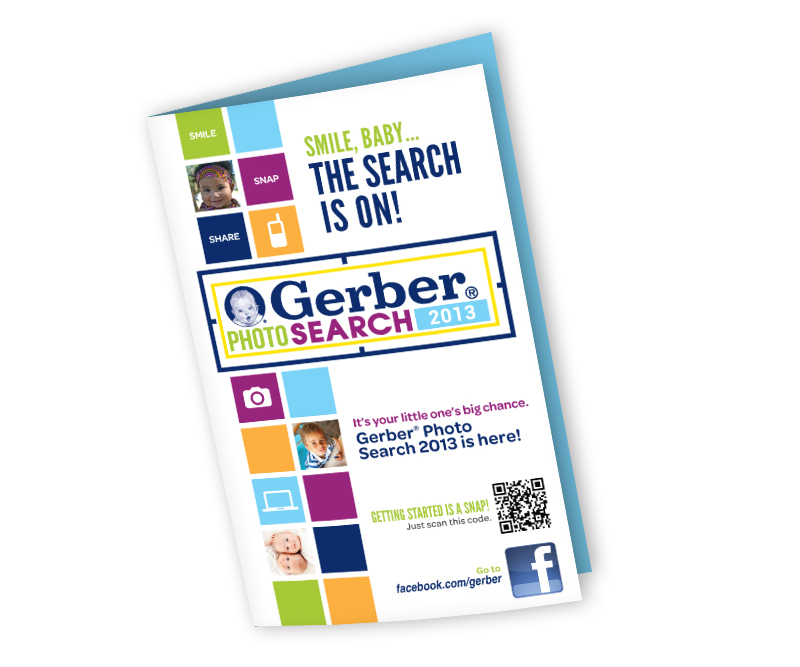 We're talking about the Gerber® Photo Search contest, of course: the crown jewel among the iconic brand's consumer promotions. 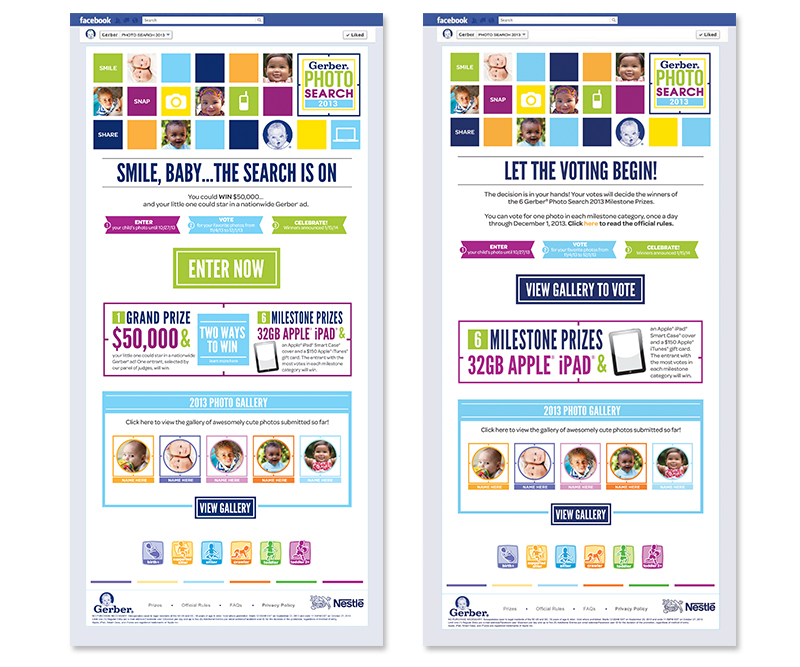 We served as lead agency for this fourth annual event – a role that required the orchestration and coordination of the efforts of multiple agency and brand partners across a wide range of disciplines and media. It also demanded the highest levels of creative commitment. We oversaw every detail – from logo development to the overall tone of the brand voice. 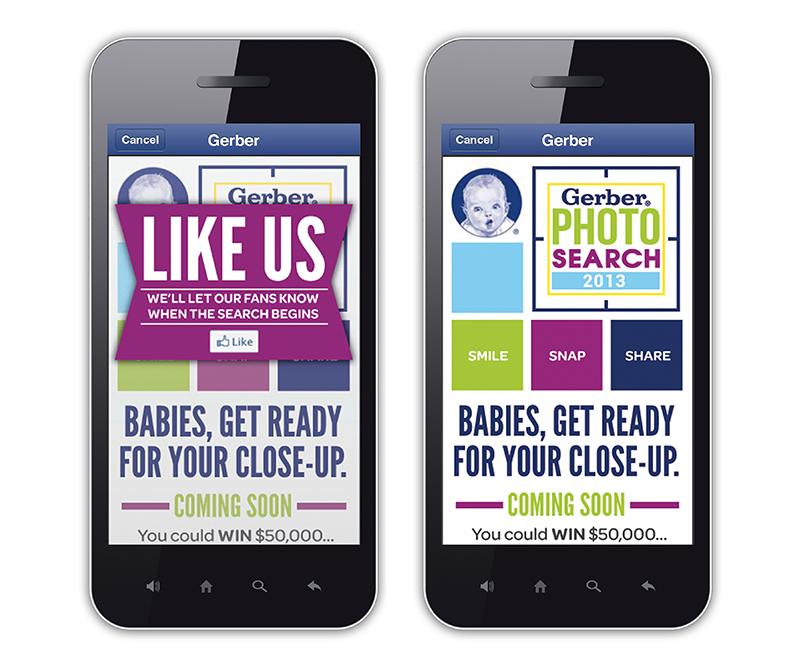 From the Facebook and mobile skins to a comprehensive range of print and digital consumer communications. 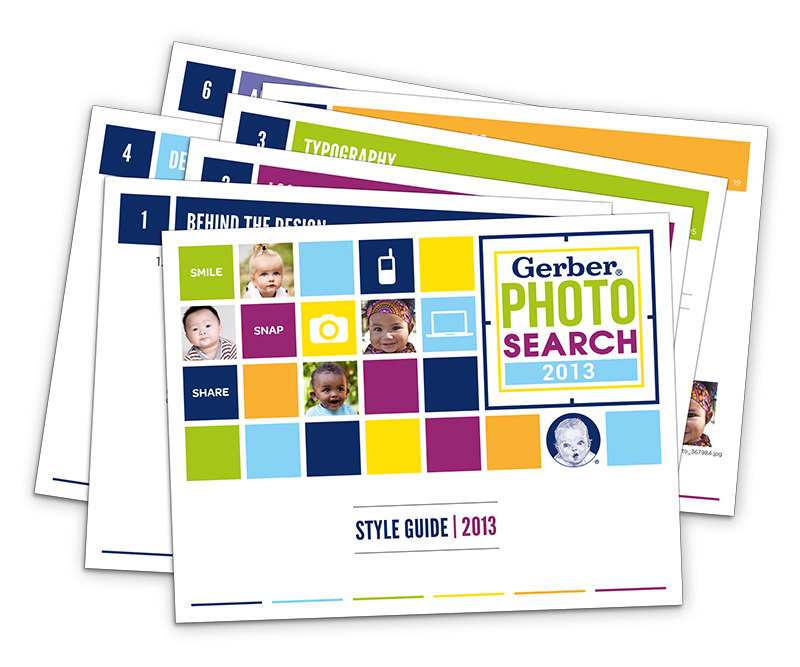 From lofty overarching theming to the nuts-and-bolts details of the promotion style guide. 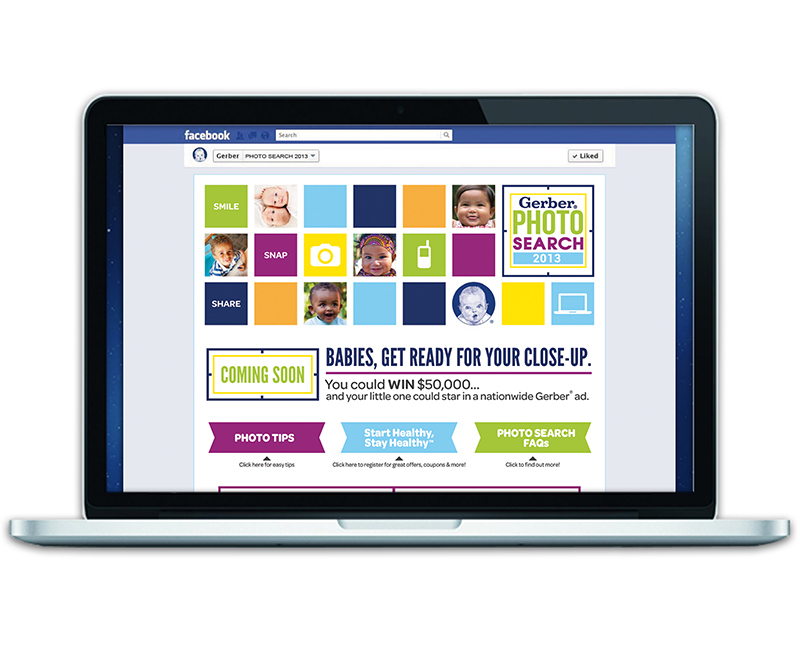 We're proud of the updated, contemporary look-and-feel: a decidedly fresh approach that resonated with modern moms everywhere. 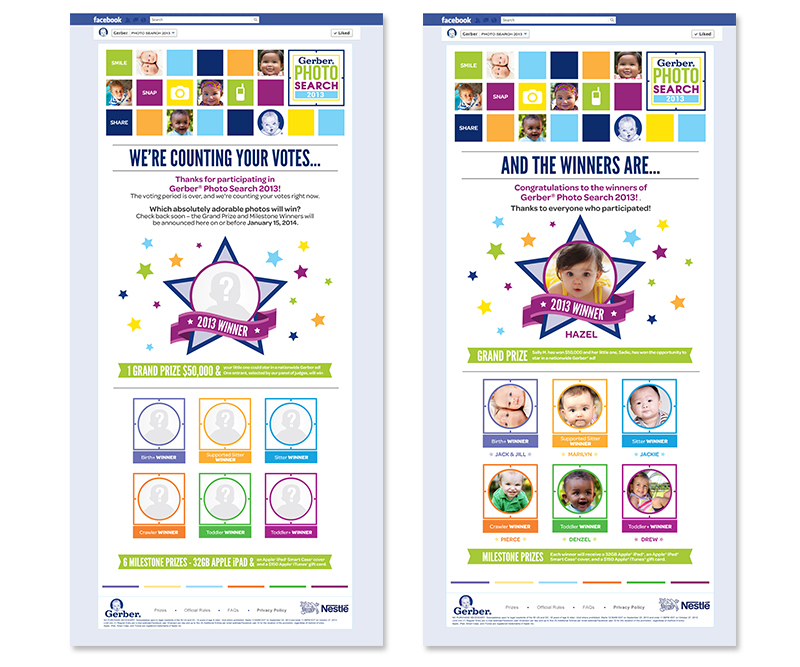 And equally proud of the streamlined, mobile-friendly user experience – an experience that was entertaining and fun for the thousands who entered, and for the millions more who voted.